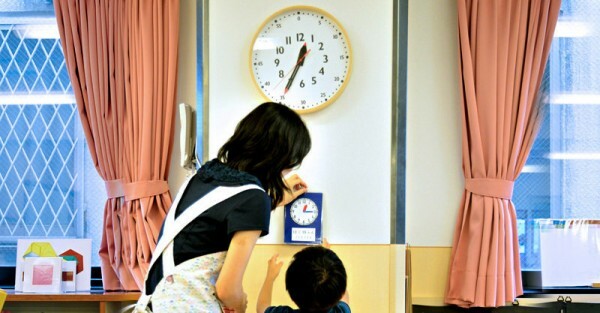 Visually gorgeous but packing a punch of practicality, this beautiful Japanese-designed clock teaches kids to read the time. You may be surprised at how a few simple design tricks can inspire learning. Come take a look. First look at the Fun Pun Clock and you can see it is lovely to look at; a retro feel with modern Japanese craftsmanship. 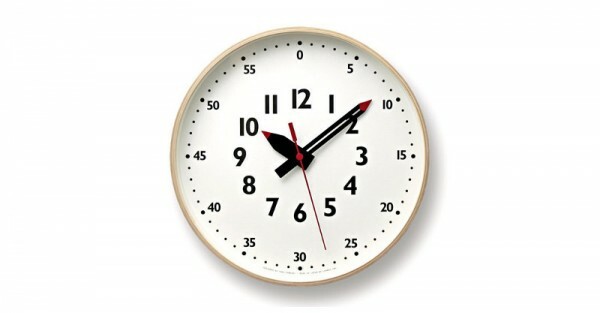 This is a clock that will make a statement in any surroundings. But the Fun Pun Clock is much more than just a pretty face. It uses Montessori educational theory and clever design elements to inspire kids to learn the time, and parents to teach them. Strategic red colouring on the clock arms show children where to focus when reading the time. This is such a simple detail that makes a big difference to learning. The makers of Fun Pun have also brought back the classic “tick-tock” sound that so many modern clocks are missing. This sound allows kids to count along and creates a multi-sensory experience that aids learning. How clever is that? Crafted in Japan from quality plywood, the simplistic design fits seamlessly with modern home decor. The Fun Pun Clock is available through Australian company Mycuppatea, which delivers across Australia and overseas. Clocks are priced at $180 for a medium size and $220 for a large, plus shipping.